3 Steves Winery received a Gold Medal for their 2015 ENZ Vineyard Zinfandel, and Silvers for their 2016 Barbera and 2015 Duel Red Blend. Bent Creek Winery took home Best of Class for their 2017 Sauvignon Blanc, a Gold for their 2016 Red on Red, and Silvers for their 2016 Zinfandel, 2017 Chardonnay, 2016 Zinfandel, 2016 Petite Sirah, 2016 Cabernet Sauvignon. They also won a Bronze for their 2016 Cabernet Franc. The 2016 Grenache Blanc from Big White House earned a Silver Medal. Caddis Wine, somewhat of a newcomer to the Livermore wine scene, won Silver medals for their 2016 Double Dog Zinfande, 2016 Merlot, 2016 Cabernet Sauvignon, and 2016 Better Together Red Blend. Their 2017 Chardonnay earned a Bronze. 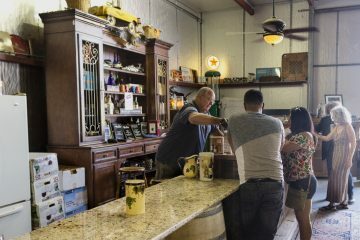 Charles R Vineyards‘ 2016 Chardonnay, won a Gold, and a 2015 Zinfandel received a Bronze. 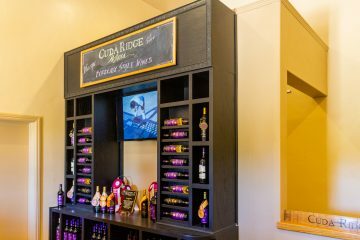 Cuda Ridge had a good year, with a Gold Medal for their 2015 Cabernet Sauvignon and Silvers for their 2016 Black Label Cabernet Sauvignon, 2016 Cabernet Franc, 2016 Malbec, 2016 Petite Verdot, and 2016 Melange d’ Amis. Their 2016 Merlot captured a Bronze. 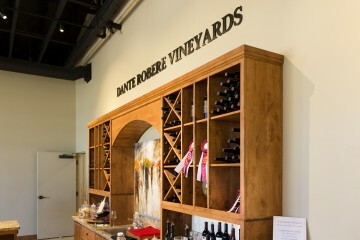 Hopefully Dante Robere Vineyards brought a truck for their medals, earning Golds for their 2015 Petite Sirah and NV Paradiso, and Silvers for their 2016 Zinfandel, 2016 Barbera, 2016 Carignane, 2016 Estate Reserve Syrah, 2016 Estate Syrah, and 2016 Grenache. 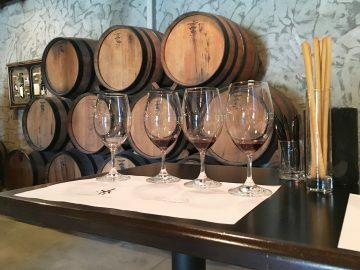 They added Bronze Medals for their 2016 Mourvedre, 2016 Tempranillo, and 2016 Touriga. Another big winner was Darcie Kent Vineyards, receiving Gold Medals for their 2016 De Mayo Chardonnay and 2015 Choreography. 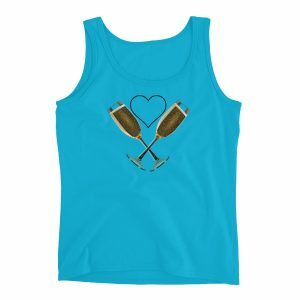 They took Silver Medalss for their 2017 Pistachio Lane Chardonnay, 2015 Zinfandel, 2016 Madden Big Petite Petite Sirah, 2015 Old Vines Merlot, 2015 Madden Cab Cabernet Sauvignon, 2015 Clone 337 Cabernet Sauvignon, 2015 Stone Patch Cabernet Franc, 2015 Firepit Red, and 2014 Old Gum Tree Sauvignon Blanc. Their 2017 Gruner Veltliner, NV Alpine White #2, and 2016 Pinot Noir earned Bronzes. Eagle Ridge Vineyard won Gold for their 2015 Cabernet Sauvignon and 2015 Malbec, a Silver for their NV MadLyn, and a Bronze for their 2015 Zinfandel. Ehrenberg Cellars received Silvers for their 2012 Michael-David Vineyards Petite Sirah and 2012 Dixon Ranch Cabernet Sauvignon plus a Bronze for their 2012 Wilderotter Vineyards Zinfandel. 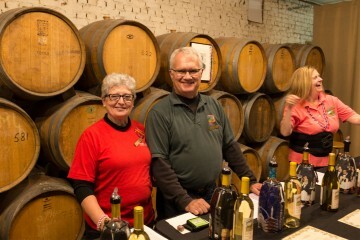 Fenestra Winery had a great showing, with a Double Gold for their 2017 Chardonnay, and Gold awards for their 2014 Syrah and 2014 Ghielmetti Vineyard Malbec. 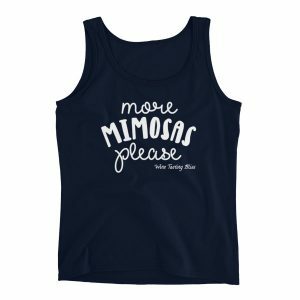 They took Silvers for their 2017 True White, 2016 Sangiovese, 2014 Petite Sirah, 2014 Cabernet Sauvignon, 2014 Tempranillo, 2014 Touriga Nacional, 2014 Conjugation, and 2014 Infrared. Their 2015 Merlot received a Bronze. 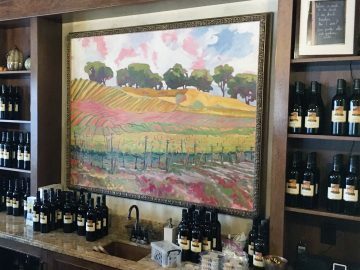 Garré Vineyards received Silvers for their 2015 Sangiovese and 2013 Petite Sirah, and Bronzes for their 2014 Primitivo and 2013 Field Blend Profound Secret. 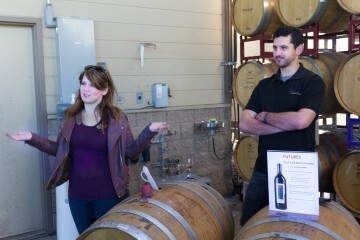 In addition to winning the Red Sweepstakes, Las Positas Vineyards received Best of Class honors for their 2016 Coccineous and Double Gold for their 2014 Reserve Barbera. Gold medals were awarded for their 2015 Barbera, 2016 Petite Sirah, 2015 Cabernet Sauvignon, and 2015 Coccineous. They took home Silvers for their 2016 & 2017 Chardonnays, 2017 Verdigris, 2017 Rosé, 2016 Sangiovese, 2016 Barbera, 2016 Syrah, 2015 Cabernet Franc, 2016 Petit Verdot, 2016 Tempranillo, and 2015 Reserve Obscurus. They also received Bronzes for their 2017 Roussanne and NV Casimira. 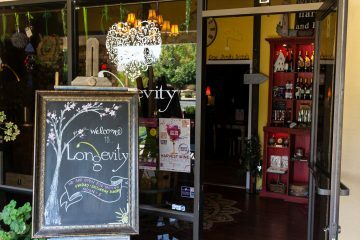 Longevity Wines took Silvers for their 2015 Mouvedre and 2015 Grenache, plus a Bronze for their 2014 Vintner Select Cabernet Sauvignon. McGrail Vineyards captured a Gold for their 2015 Reserve Cabernet Sauvignon and Silvers for their 2017 Chardonnay, 2014 McGrail Vineyards Cabernet Sauvignon, 2015 A Jo Elet The Good Life Cabernet Sauvignon, and 2016 Shamus Patrick Red Blend. Their 2016 Colton’s Cabernet Sauvignon received a Bronze. Murrieta’s Well won Silvers for their two blends: 2016 The Whip and 2016 The Spur. Nella Cellars earned a Gold for their 2017 Chardonnay and Silvers for their 2016 Viognier and 2016 Pinot Noir. Nottingham Cellars won a Double Gold for their BDX Blend and McKahn Family Cellars received a Double Gold for their Livermore Petite Sirah. Page Mill Winery got a Double Gold for their 2016 Côte Merlot and Golds for their 2017 Vintner’s Select Chardonnay and 2016 Cabernet Sauvignon. Silver Medals were awarded for their 2017 Chandler Vineyard Chardonnay, 2017 Pinot Noir, 2016 Tazetta Vineyard Syrah, 2015 Vintner’s Select Cabernet Sauvignon, and 2016 Cabernet Franc. They took four Bronze Medals, for their 2014 Blanc de Blanc, 2015 Petite Sirah, 2016 Vintner’s Select Cabernet Sauvignon, and 2016 GPS. Retzlaff Vineyards took home a Silver for their 2017 Isabelle’s Blush and Bronze Medals for their 2017 Sauvignon Blanc and 2013 Cabernet Sauvignon / Merlot Blend. Rios-Lovell Winery received a Gold for their 2014 Cabernet Sauvignon, a Silver for their 2016 Reserve Viognier Chardonnay Port and Bronze Medals for their 2014 Estate Jiang’s Golden Mountain Red Table Wine Blend and 2015 Reserve Cabernet Sauvignon Port. Rodrigue Molyneaux Vineyards received a Silver for their 2015 Cabernet Franc and a Bronze for their 2014 Cabernet Sauvignon. 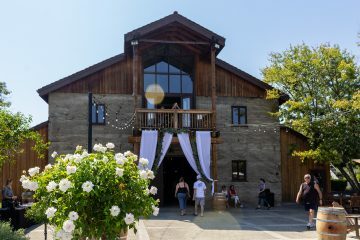 Steven Kent Winery received Silver Medals for their 2017 Ghielmetti Vineyard Lola and their 2015 Sachau Vineyard Cabernet Sauvignon as well as a Bronze for their 2015 Small-Lot Offering Cabernet Franc. 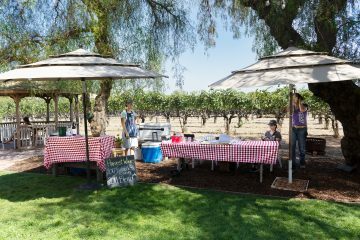 Wente Vineyards brought home four Silver Medals for their 2017 Louis Mel Sauvignon Blanc, 2017 Morning Fog Chardonnay, 2016 Riva Ranch Single Vineyard Chardonnay, and 2016 Charles Wetmore Cabernet Sauvignon. 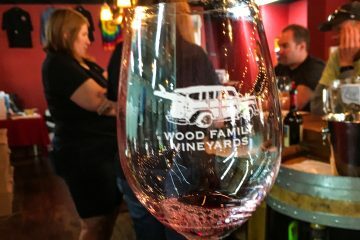 Last, but not least, Wood Family Vineyards had a great outing, receiving Best of Class for their 2016 Especial Cabernet Sauvignon, Double Gold for their 2017 Para Mas Amigas Chardonnay, and a Gold Medal for their 2016 Grenache. They also received four Silver Medals for their 2016 One Oak Vineyard Merlot, 2016 Cabernet Franc, 2016 El Loco Rojo, and 2016 GSM. 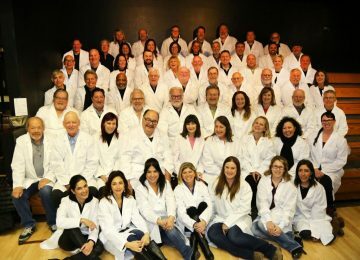 What a showing for the Livermore Valley AVA! 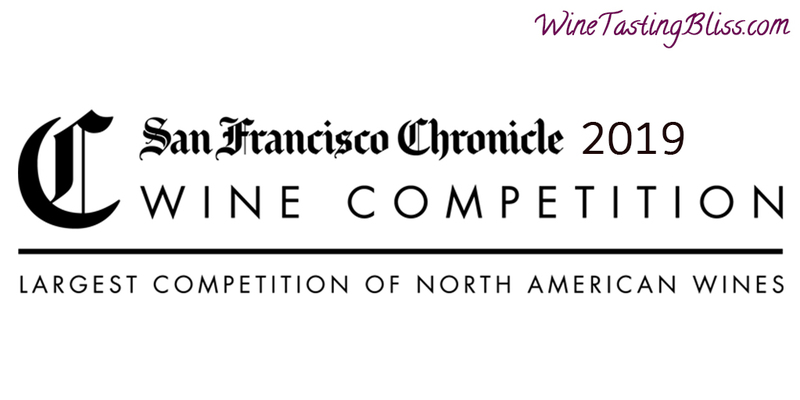 Congratulations to all of the amazing wineries and winemakers celebrated in this competition!